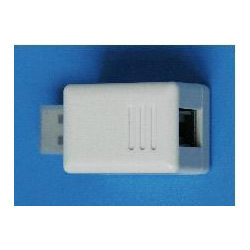 Our organization is topmost provider of USB Connectors to our clients. These are apt for making connections and are available in different configurations. These are available in different lengths for different applications. These are good for connection purposes and due to their excellent quality are demanded among our clients. - Contact resistance : 50M ohm min. - Insulation resistance : 500M ohm min. Our company has gained name and fame in presenting USB Connector.